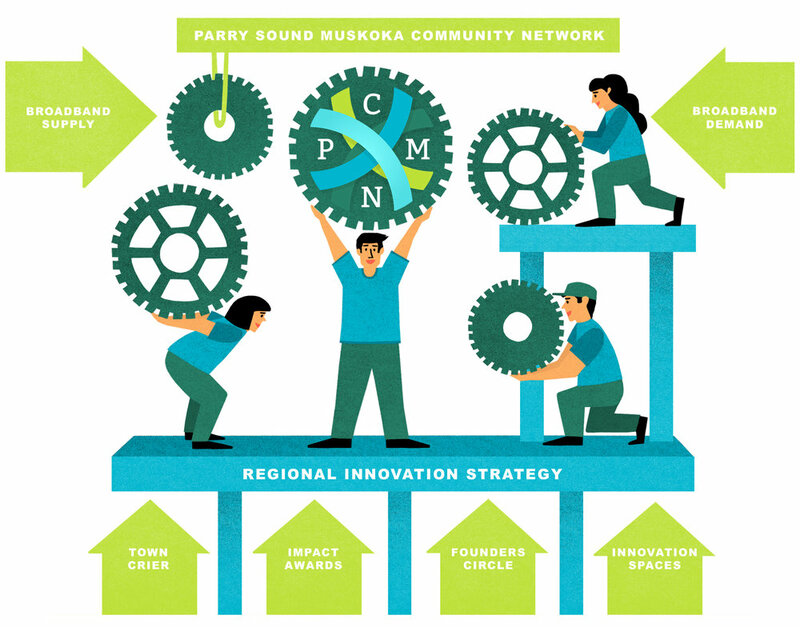 Parry Sound Muskoka Community Network is provided with 3-year operational funding from FedNor to promote the adoption of digital and e-business applications throughout the region. Over the last eight years we have invested $1.35 million in the form grants to help more than 500 business owners take their ideas and ambitions further. To support a network of innovative communities focused on job creation and economic development in the broadband economy. To create economic value by building information and communication technology (ICT) capacity through community partnerships. PMCN is governed by a Board of Directors who provide regional representation on a geographical, and industry basis.